Mother’s Day Massage Therapy Sessions! One of the most appreciated Mother’s Day gifts is that of massage. Why? Because it is just for her and it is not only pampering, but also can profoundly affect her health for the better. If you are looking for one of the best massages in the area, then look no further. All of our sessions include some level of hot stone therapy, deep tissue, relaxation massage and our Heavenly Foot Massage. New this year! Home Spa Tranquility Gift Bags $30. Only a few left! See the description below. We also have some of the best client reviews on Facebook (https://www.facebook.com/HeavenlyHealingHandsMassageTherapy/); Google Business Pages; and on our website at http://www.ohiosbestmassage.com/testimonial. All massages are NOT created equal and we offer the very best. We are offering single and couple massage sessions for Mother’s Day from May 11th – May 21st. Gift certificates are also available for purchase. Only two sessions are available early on Mother’s Day so if you want to book a session right on Sunday, May 14th you need to contact Donna right away. Special notice: Book a massage OR book a massage and purchase the Tranquility Spa Gift Bag (see below). 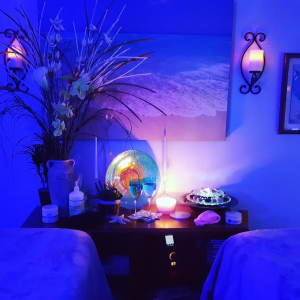 Stressbuster Aromatherapy Therapeutic Massage – This session is designed to alleviate stress, deal with chronic pain, energize you, and reboot your body so you feel like a brand new person. If you have been putting in long hours at work, caring for your children, juggling home and career, dealing with conflicts in your marriage and other personal relationships, traveling, dealing with long commutes and traffic, and dealing with the increasing demands on your time – this is the session for you. This session is effective yet soothing and targets the neck/shoulders, lower back/glutes/hips with deep tissue skillfully mixed with relaxation massage to ease away areas of tension, discomfort or pain. Hot stone therapy, essential oils, and our Heavenly Foot Massage are incorporated leaving you the most relaxed possible. SPECIAL $80 – 1 hour; $100 – 75 minutes. Allow your special Mother to continue her pampering after her massage at home with items hand-picked with her in mind: Tranquility Room Spray; premium French soap; bath salts; bubble bath; premium candle; bath sponge; and a chocolate treat! $30 – must be reserved ahead of time as only a limited number of them are available! Gift certificates are available for purchase. Call or text Donna at 216-640-6851.